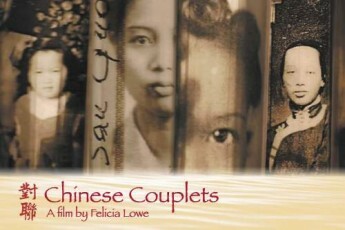 Tonight on Apex Express, Justine Lee talks to award-winning filmmaker and Bay-Area native Felicia Lowe about her documentary Chinese Couplets. The film is an intimate family story that explores the impact of the Chinese Exclusion Act on one family, over two centuries, in three countries, on four generations of women. 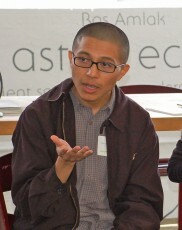 Guest host Renee Geesler speaks with immigrant, activist, and reformed prisoner Eddy Zheng, about Ben Wang’s documentary, Breathin’: the Eddy Zheng Story. Breathin’ chronicles Eddy’s 21-year journey through the California Prison system, his community activism, and his eventual release. And Alec MacDonald takes us to a gathering of immigration activists talking about the recently released UCLA student publication “Dreams Deported: Immigrant Youth and Families Resist Deportation.” In addition to describing how this book came into being, speakers Kent Wong, Amy Lin, Steve Li, and Mario de Leon Estrada discussed current challenges facing undocumented immigrants and the urgent need for policy reform in this area.